No genre depends on the moment to moment gameplay being thrilling as much as roguelikes. If you’re going to convince a player to willingly replay progress in making their way through a dungeon multiple times, then you're going to need to make sure they enjoy the core gameplay... or they’ll wind up turning the game off before they bother to actually finish it. That core conceit is what makes games like Rogue Legacy or City of Brass so brilliant, but they’re also why a game like Soublight falls flat on its face. 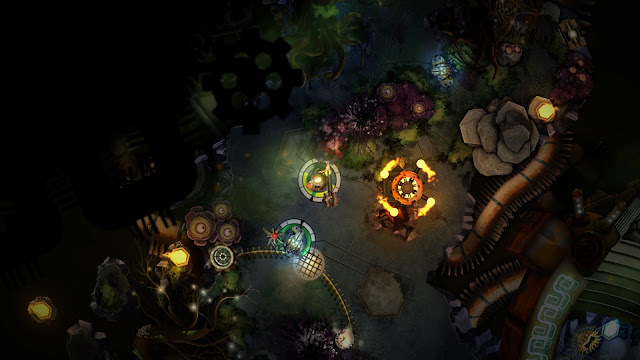 Soulblight is a top-down action game that looks a lot like Diablo from a glance, but certainly doesn’t conjure up any reminders to it during gameplay. 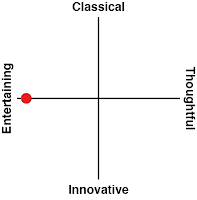 Rather, the combat is incredibly stiff feeling and lacks any sort of nuance. Weapons are found in various chests that are strewn about the game’s mechanical world that pays plenty of homage to Nikola Tesla, but none of them are all that fun to use once equipped. Not helping matters is that occasionally I ran into a stuttering frame rate during fights, which was the cherry on top of an already disappointing experience. This is a problem that unfortunately harms the entire game. There are your standard roguelike tropes of there being shops to spin money on before it disappears after death and being able to gain abilities during your run that will help give you a better chance the next time around, but once you find yourself fighting against an enemy you’re reminded that the game simply isn’t enjoyable to play. Combat often feels sloppy, and there is an annoying grab mechanic that is only really good for the foes to impede your movement. 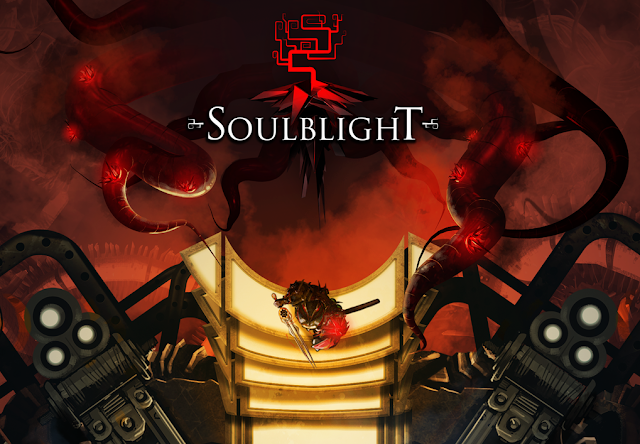 I didn’t find a single fight in Soublight enjoyable, and that’s a damning statement for a game that relies upon its combat. There’s some depth to the overall experience outside of the combat, particularly with how players can get inflicted with different ailments over the course of the run. Fixing your wounds can be as simple as using bandages or needing to concoct a more complicated remedy, and there is also a hunger meeting for players to be concerned with. If the combat wasn’t so dull, Soulblight would have all of the features a roguelike needs to be successful. The game isn’t a total mess, though, and there are a few interesting ideas that help it go beyond just fulfilling the checklist of requirements that a roguelike requires. Players can attempt to do stealth kills by sneakily walking up behind enemies and then pressing a button. This is how I defeated most of my enemies, not because I wanted to be sneaky, but because I wanted to avoid the combat as much as possible. So, at least that mechanic works, but using it for the wrong reasons doesn't make it enjoyable. There is one really neat a cool gameplay system in Soulblight; some of your actions really matter, as killing innocent souls will further taint your character. 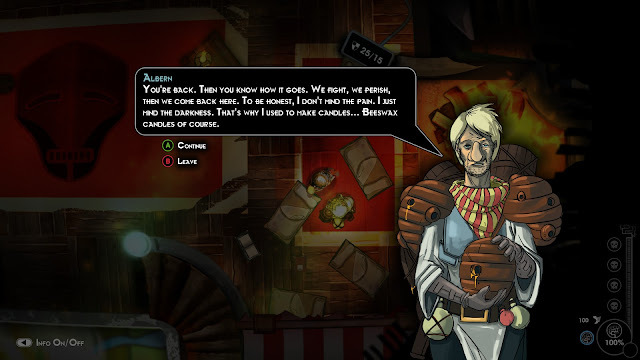 There are plenty of interesting pros/cons to different actions (such as attempting to take treasure from a chest that will injure your hand if you do so), and it is neat to see how it encourages the player to further role-play during each run, as personality traits such as being an alcoholic can be acquired, which would reward the player for getting drunk in-game, yet penalise them for their sobriety. Unfortunately, that interesting feature, which could have been an incentive to replay over and over to see how different actions might play out, is squandered by the rest of the game. The randomised levels that players go through are also rather bland. There are a few instances of cool art due to the mechanical fantasy world that developer My Next Games has crafted, but unfortunately the level designs themselves seem just... well thrown together. The best randomly generated games still feel like care went into the creation of the components that "snap" together to create the levels, but sadly here I never felt like there was clever design in the "pieces". It goes to show that randomised elements aren’t always for the best. Soulblight is a largely disappointing experience. 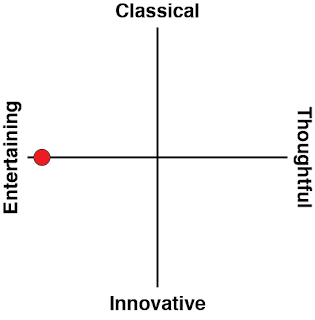 Hopefully My Next Games can take what works here (namely the morality-based systems) and apply it to a future effort, but this current action game isn’t enjoyable in the slightest. It doesn’t bring anything new to the genre, and isn’t polished enough to stand besides the better offerings already available.